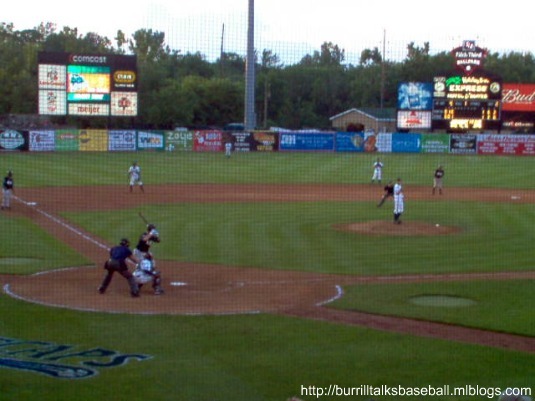 Last season the Whitecaps were 70-69 overall (32-37 first half, 38-32 second half), good for fifth overall in the Midwest League, but missed the playoffs by just one game. 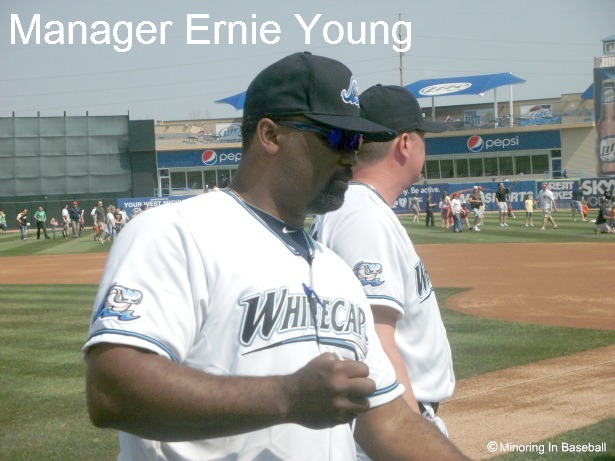 Young will be joined again this season by pitching coach Mark Johnson. The new hitting coach will be Scotty Dwyer who moved up from short season Connecticut. The Tigers break camp on Sunday, April 1st, and the players will be assigned. Not much of a turnaround, as the ‘Caps begin their season on the road in Dayton April 5, with the home opener slated for April 9th hosting Bowling Green. 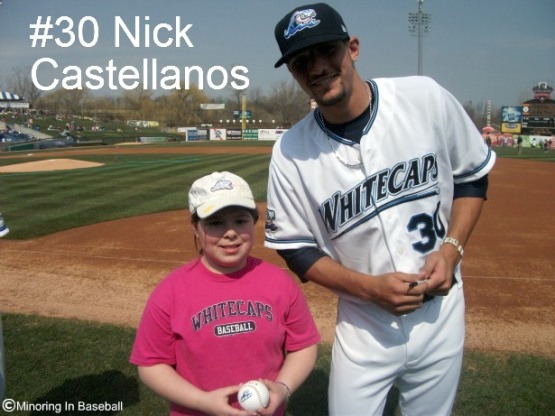 Fans will be able to get their first look at the 2012 Whitecaps on Tuesday, April 3rd at Fifth Third Ballpark. The club will hold an open practice from 11:30 a.m. to 1:00 p.m. After their workout, the team will be on the concourse to sign autographs for fans. This will also be a chance to showboat the new scoreboard and high-resolution video board at Fifth Third. The start of the Minor League season seems sooner than usual, as they’ve started about a week later than their MLB counterparts in the past. 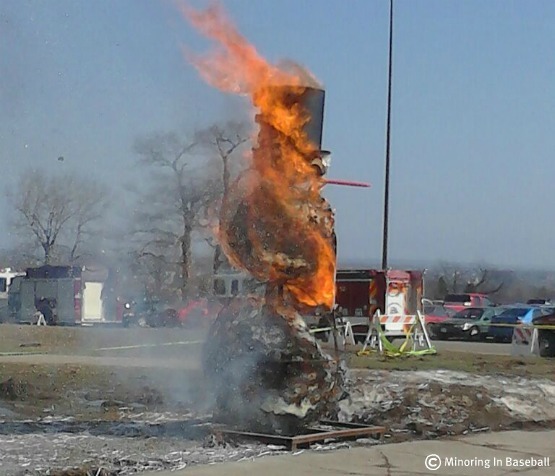 It doesn’t look like they’ll have an exhibition game against Grand Valley State this season, either. It will feel good to get the season going, though. It’s always hard to watch baseball come to an end in the fall, but at the same time it makes you appreciate it when it comes back the next spring. 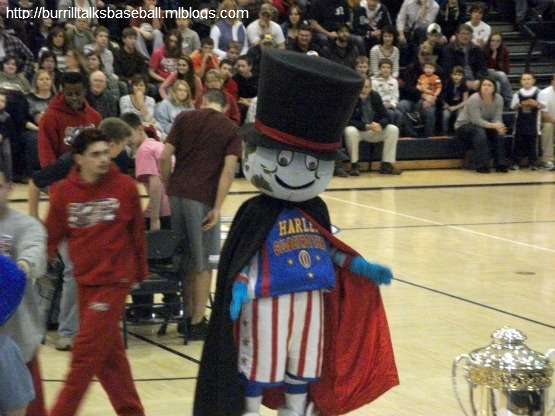 As much as we miss baseball during the winter, we don’t just sit around and sulk. Winters up here can get dull and depressing, so we really have to keep busy to beat the winter blues and make it through until the baseball fun begins. 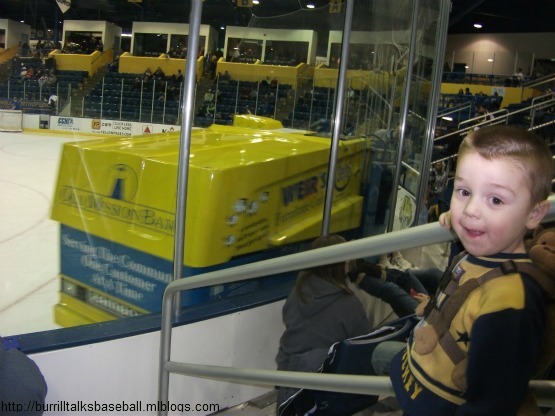 As usual, we take in a lot of hockey games up here. 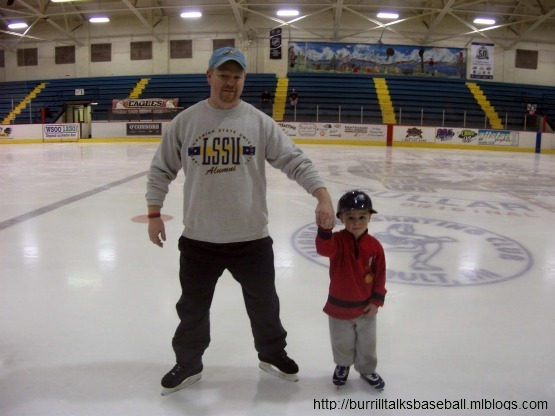 We live in the original ‘Hockeytown U.S.A.’, so between our Lake Superior State Lakers, junior and high school hockey, we spend a lot of time at the rink. We also do a fair share of ice skating ourselves, too. 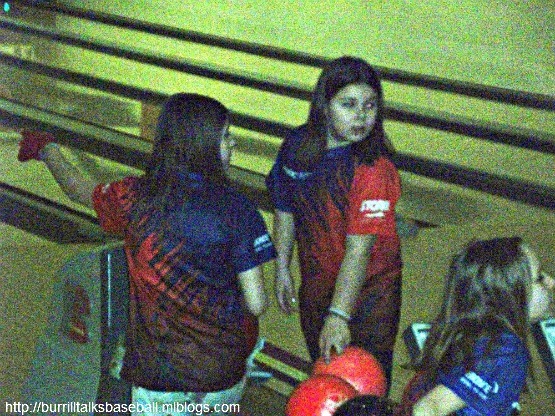 The kids are involved in their own activities throughout the school year as well. 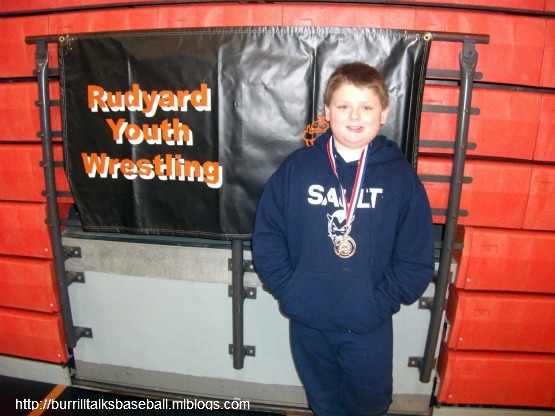 Lily participated in the youth bowling league, while Trevor played flag-football and wrestling. 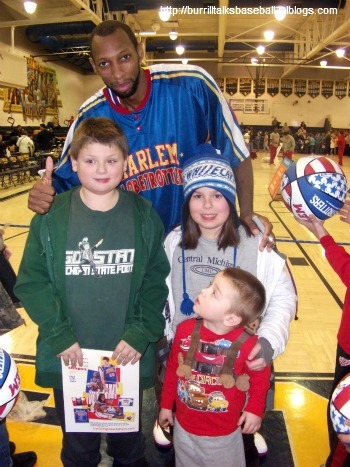 A special treat this winter, too, was that we were able to catch a Harlem Globetrotters game. 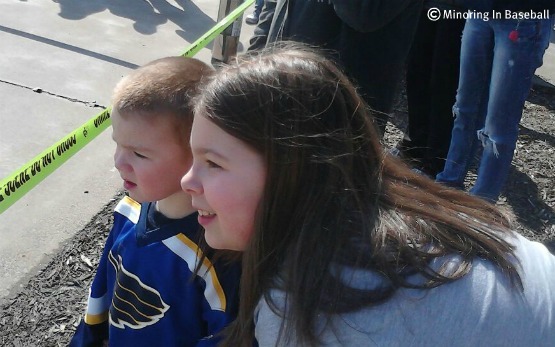 I took Trevor and Lily a few years ago, but this was Brian’s first time seeing them and he had a great time. 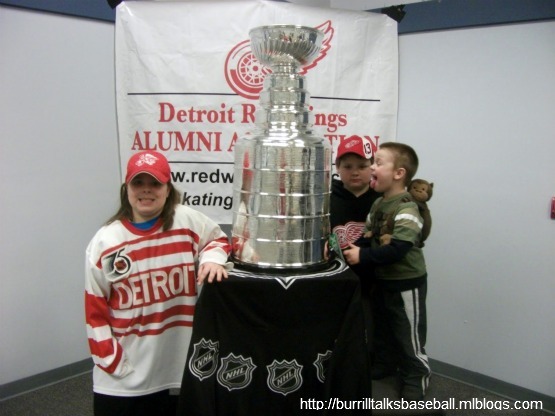 We were also able to see the Stanley Cup at a Detroit Red Wings Alumni game which was a thrill for the kids. 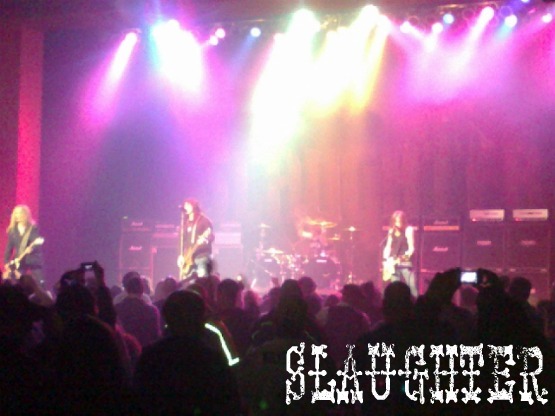 It wasn’t just sports that held our interest, as we saw some rock concerts, too. 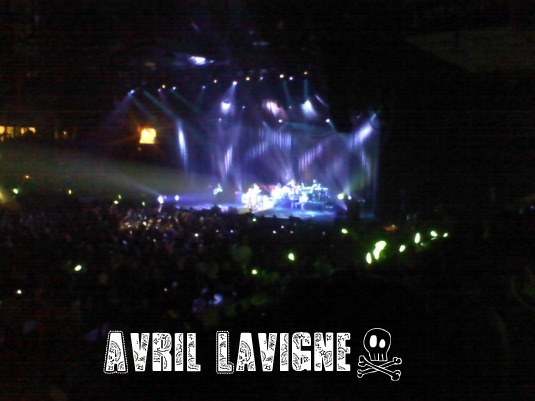 I took the two older kids up into Canada to see Avril Lavigne (my hearts pants…), and saw legendary rock bands like Slaughter and Stryper come to town. 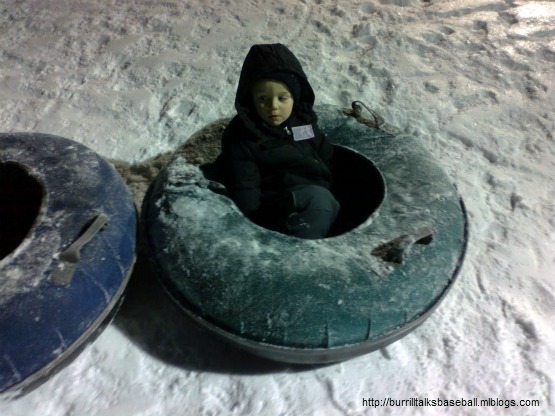 We also spent some time playing outside, and over at the tubing hill blazing down the icy slopes. Do you think that scared Brian at all…No. Anyway, I might not win father of the year..I’ve been known to give the kids NyQuil out of a shot glass, and help them with their math by teaching them Blackjack, but we do have a lot of fun together. Plus, only a single dad can get away with a full size hockey net in the living room, and foosball table instead of a dinner table! 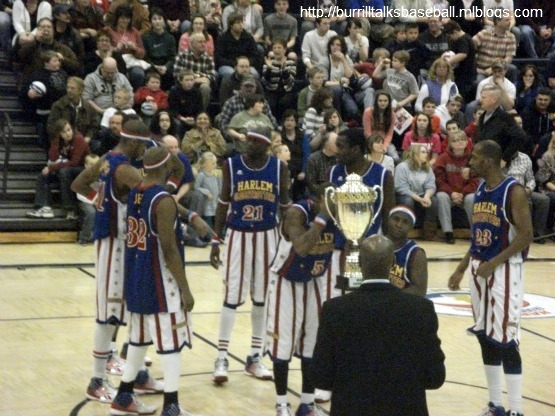 Brian was in awe of the Globetrotters, even after seeing them on ‘Scooby-Doo‘! 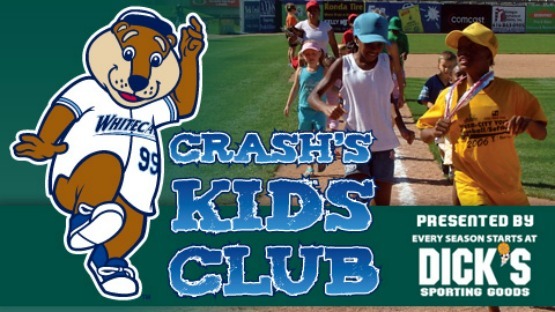 Kids join Crash’s Kids Club! This season I thought I’d set the kids up with a little treat, and enter them in Crash’s Kids Club. 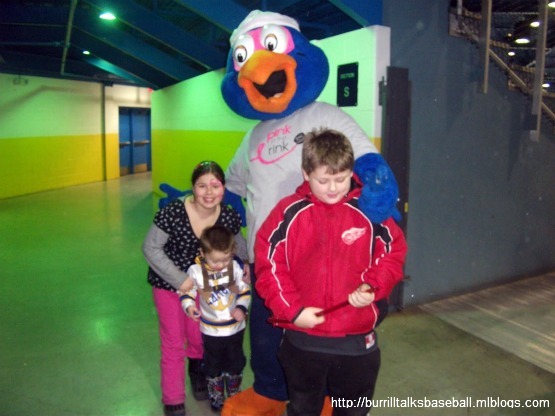 Crash, the mascot for the West Michigan Whitecaps, is always very popular at the ballpark. Brian, especially, really gets a thrill out of a simple ‘high-five’ from the gigantic river rascal. The kids club isn’t a bad deal, though, even for a family who makes only a handful of game during the season. 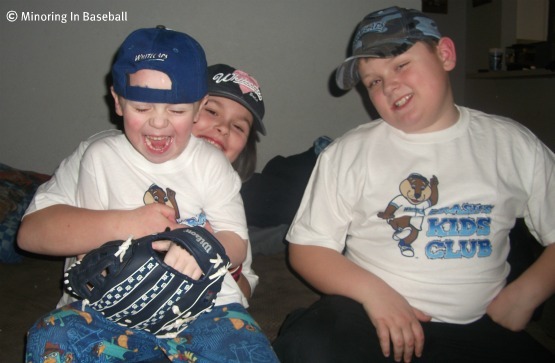 For only $25 per kid, they get a t-shirt, a Kids Club certificate, express lane to run the bases at every Sunday game, and free tickets to every Sunday game. They also have a chance to be randomly selected to do things like throw out the first pitch or watch an inning from the dugout. The younger ones will also have a chance to hang out this the PBS kids characters before some of the games (like Clifford and Curious George…two of Brian’s favorites!). It almost pays for itself, though, if we make it to even a couple of Sunday games and with the t-shirts. Of course the kids had to try them on after the packages came in the mail yesterday. But…does it look like ANY of them could act normal for a photo? Of course not, just as goofy as they can be. 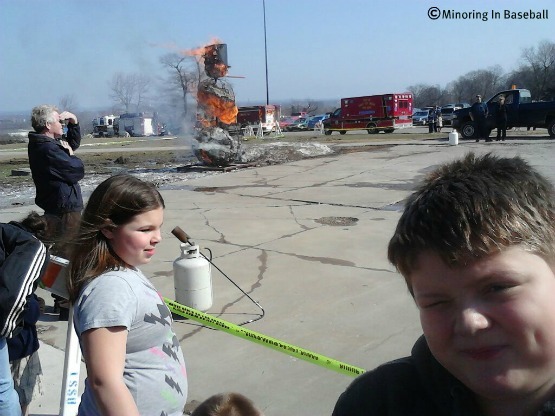 Oh, well, that’s the way kids are supposed to act, isn’t it? 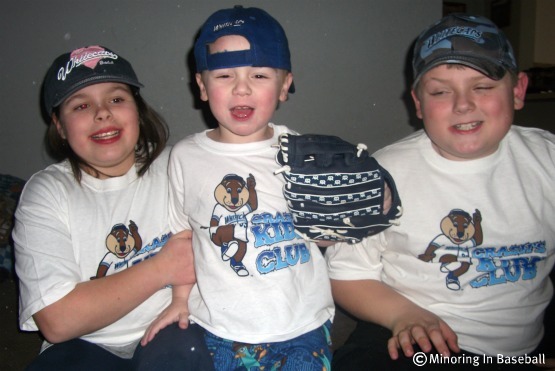 Other than Lily and Trevor giggling like Beavis and Butthead at the name of the sporting goods store…. There’s no real reason to hurry along Tigers’ prospect Nick Castellanos. With the arrival of Prince Fielder, and Miguel Cabrera moving to third base, he’ll have plenty of time to develop before being moved up to Detroit. Castellanos was penciled in at third base in the lineup to take on the Astros yesterday, before the game was postponed due to rain. Tigers manager Jim Leyland had a chance to talk to MLive.com about him, though. Castellanos even had a chance to work out with Cabrera in the offseason, and said that it has been ‘awesome’ working with him in Spring Training. With the third base spot taken for now, it will be interesting to see if they experiment with him at any other positions, like second base or out field. I’m glad to see, too, that they’re not rushing his development along, like they’ve done with a few other players, and give him the time he needs to become a big league ball player. I can’t wait to see him up with Detroit, but not until he’s ready. Last season with the Whitecaps he batted .312, with 36 doubles and seven home runs. 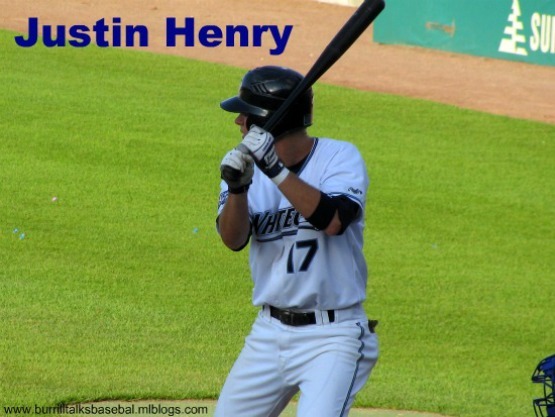 Justin Henry is another player who has been developing in the Minors for Detroit. He’s played every infield and outfield position in the minor so far, and has posted a .291 average with 104 stolen bases in five seasons. The last two seasons, he’s split time between Double-A Erie and Triple-A Toledo. With West Michigan in 2008, he batted .295 with 24 doubles and 46 RBI’s. Nice words from the skipper. 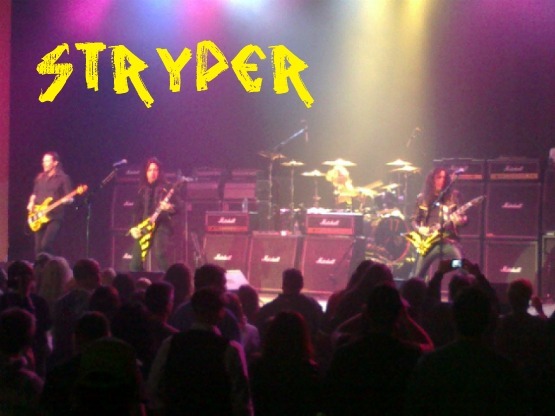 When he played here in West Michigan, he was at second base. With so many outfielders in the system, I’m wondering if they plan on moving him back to second or even try him out at short stop. We’ll be keeping an eye on him, to this season. Lazy, lazy footballers. 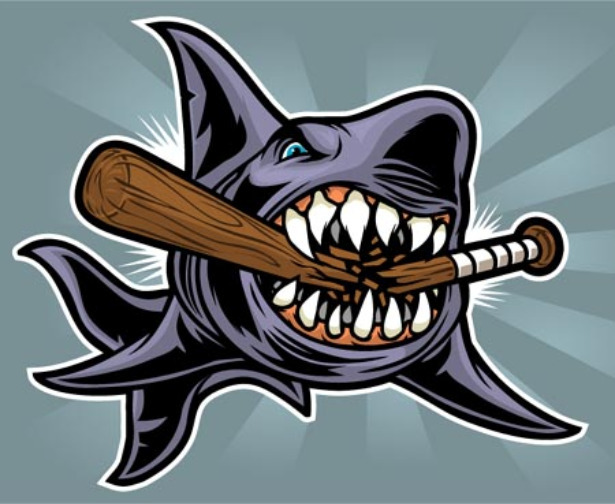 Well, if anyone on the blogosphere would like to partake in some fantasy baseball, feel free to join my league. It’s all for fun, free, and the lucky winner just might get a congratulatory e-mail from ME if I’m not feeling lazy. It’s through Yahoo! 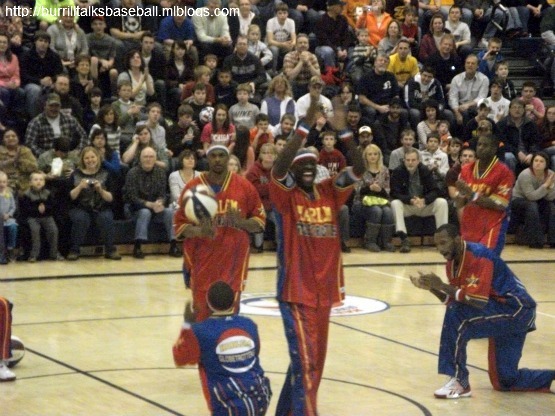 sports, so everyone by now should have some kind of Yahoo! account. The League ID is: 77279. The password is: beer. Enjoy.